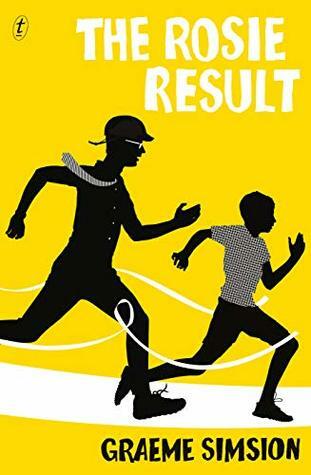 The third and final book in the Rosie series, The Rosie Result by Graeme Simsion is an absolute delight. Focussing on the return of the Tillman’s along with their 11 year-old son, Hudson, to Australia after a stint in New York, the reader becomes immersed in their struggles to re-establish their lives and careers after so long away. While Don and Rosie muddle along fairly well, for young Hudson, change is catastrophic. In his usual pragmatic way, Don sets about turning Hudson’s problems into a solution by embarking on what he terms, The Hudson Project; the primary objective being to ensure Hudson learns the life skills necessary to both fit in socially and ease his path in school and life. But no matter how clever or resourceful a person is, even Don, or how passionate about a project, one can never account for humanity and different personalities, particularly those of young people. Don may care about this project more than any other, but does he possess the necessary skills to steer Hudson’s life in the right direction or is he the wrong captain for this ship? Alternately funny, heart-aching, poignant and forensically observant, this is a cracker of a read that I wish I hadn’t finished, I was so enjoying being in Don, Rosie and Hudson’s world. The novel is about family, otherness, difference and the lengths we go to in order to fit in (or not), it’s also about tolerance, love and kindness – something the world seems to be in rather short supply of sometimes and which is refreshing to read about, even in fiction – especially when the results are so all-encompassing and inclusive. Cannot recommend this wonderful book enough!